Jacob F. This is the third axle that this Aussie locker has been in. It shows no signs of wear after 5 and half years and preforms just as good as the day I bought and installed it. It's handled stock tires and now it's working for 35s. Just wanted to give some real world feedback for the Torq Locker I've had now for several months. I wanted to get some decent rides in on different terrain before posting. This upgrade dramatically improved the off-roading ability of the X3 in everything from mud, trail and Oregon sand dunes. Not having a ton of beef up on the front D30 ,nor a massive budget at the time ,I went looking for affordable autolockers. 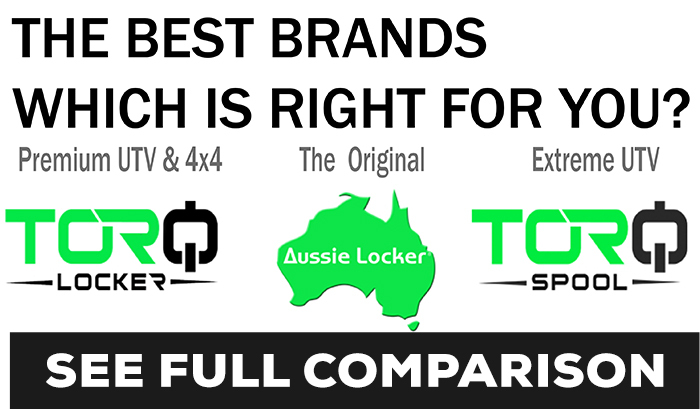 Of all options for “ lunchbox” lockers , I knew the Aussie was highly regarded so I went to Torq-Masters webpage & read everything. It was then that I found reference to something new called a ‘Torq Locker’ for D30s (including one for Jeep JKs with a HP D30 ). I emailed Torq-Masters to ask the difference between Aussie and TORQ and decided on TORQ. TheTORQ Locker was exactly what I wanted and needed. It feels amazing going over rock and up muddy hills where I can really feel the front of the machine pulling as hard as the rear is pushing. Almost felt like if I could get the rubber on it I could climb it. I ran the machine in 4wd almost exclusively all weekend and hit speeds at 40-50 mph, found the steering to be equal to stock or atleast stock for me which was with 30 inch Rocktanes. I first choose an Aussie locker for my rear d44 on my Jeep when we were going to rausch Creek and I was told a locker would be a good idea before the trip. I love the fact that Aussie was American made and why I choose that for my first locker. I could not believe the difference it made! No more sliding off the rock when I lost traction!! Aussie Lockers have taken me everywhere, from the hardest trails all the way to the podium! My Aussie Lockers have been with me for 7 years and I have been continually impressed with the product quality, ease of installation, durability and predictability. My rig has crawled, raced, jumped, flopped, rolled and broken countless parts but never an Aussie Locker! I bought a pair of Aussie lockers for my '99 Cherokee about a 6 years ago. They have performed perfectly and as advertised, and I couldn't be happier with them. Even bought a set and installed them in my sister's Cherokee. Problem is...the Aussie stickers are almost faded away from the Arizona sun, the stickers wore out but the locker is going strong! Today's review after about 35 miles of New York mud, trails and sand pits with the TORQ Locker in my 2016 Mav 1000 turbo. First thing I did notice was the handling at speed whether in 2 or 4wd was a little different. Slightly more responsive actually. I put the DPS to minimum and I adapted. Ran in 4wd 90% of the day and reached a top speed of 77mph at one point. No issues all day. ). I by no means was easy on this machine today and had 0 failure or complaint. The locker did what it was supposed to, was silent as a mouse and improved the Maverick's capability all around. To say the Dana 30 Aussie Locker does its job is an understatement. We at Hack Shack Racing in the 4632 TJ decided to run our dana 30 with its Aussie Locker in our first race ever. While it had been doing its job happily for about 4 years of recreational wheeling, racing is a whole other animal on an Ultra 4 style vehicle. The task we began to ask of that front end was something it hadn't seen before or been built for. To say I wasn’t at least a little skeptical when I purchased my Aussie Locker would be a huge lie! There is no way that something priced hundreds of dollars less than your typical auto lockers, air lockers, etc. can perform without flaws, Wrong! Not to mention how easy it was to install, and the best part of it all, it made right here in the U.S.A. I just got home from the Rubicon Trail, a place where performance and reliability are second to none, and I am more than impressed with my Aussie Locker. I have had the Aussie Locker in my JKU for over 20000 miles. I was able to install the Aussie in my JKU in my garage at home with minimal tools and the knowledge I gained from YouTube. Never having done an install of a locker I was surprised at the ease of the install process. The Aussie locker works very well in my JKU, even with the 37" tires and the Dana 30 axle. The locker is not noticeable during normal street driving except during low speed turns when you will hear it click. I run Aussie Lockers front a rear in my dana 30 front and dana 44 rear it is by far my best upgrade and amazing product! Will always and only buy Aussie!! The install was done on the garage floor with regular hand tools and no specialty tools required. The benefits were immediately apparent the first time off road. The front locker in the my JKU makes it a whole different vehicles, as the longer wheelbase often made it possible to get my front end up on obstacles. The Aussie locker now made it possible to get over those obstacles. After four years it still performs and has had zero issues. I bought 2 Aussie lockers for my jeep in 2012 and I wanted to report to you how happy I am with them. I think that my Aussie lockers perform better then any of the selectable lockers that are common in my local club. I think the automatic ratcheting of the outside tire in a turn makes for superior traction compared to a locker that allows no differentiation when engaged. Also, last year I even broke an axle shaft while doing something fairly unadvisable and that Aussie locker was unharmed! Father Son Install It was fun, we got some help from a buddy who has done a number of them. Really only used the instructions once to be sure we had the parts aligned right. My son is itching so much to really try it out. We hope to get on the trail Feb 7th with a local group. Can't wait. The total install including a front brake job only took about 3 hours. It is a 97 4 cyl TJ... We have a RC 2.5 in coil lift, Tera Flex Shocks, now an Aussie up front, RE front disconnects.... For a 17 yr olds vehicle it wheels pretty well and has been a great father son project. - he has learned a lot. 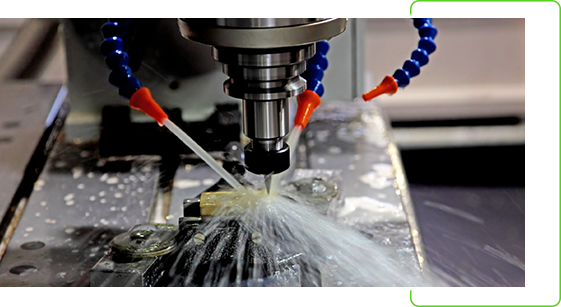 All Torq-Masters Industries products are manufactured in an ISO 9001 certified CNC machining facility in Rochester NY, all raw materials 100% made in the USA. 2 year warranty with no exclusions like tire size, horsepower or fuel injected vehicles, as seen in other locker warranties in the industry. We stand by our products and our customers! Our lockers are CNC milled from only the best 100% USA made 9310 alloy steel. While other grades of steel are less expensive, they also equate to a shorter life of the locker. We promise, only the best for our customers, you deserve it! Skip a trip to the store, for about the same price, you can have an Install in a Box kit shipped to your door when you order your new Locker. 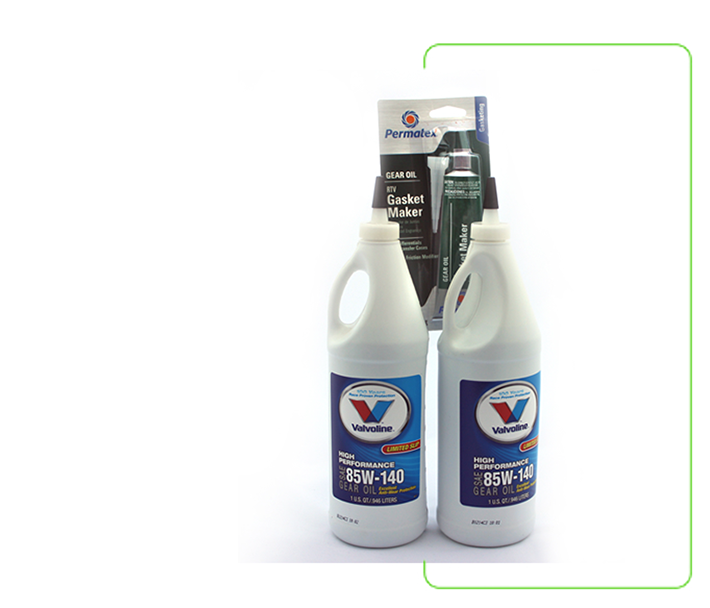 This kit has everything you need and our recommended brands; Valvoline High Performance 85W-140 Gear Oil and Permatex Gasket Maker. Ground shipping only. At Torq-Masters Industries we offer a few select brands for retail on our website, brands that we personally endorse. 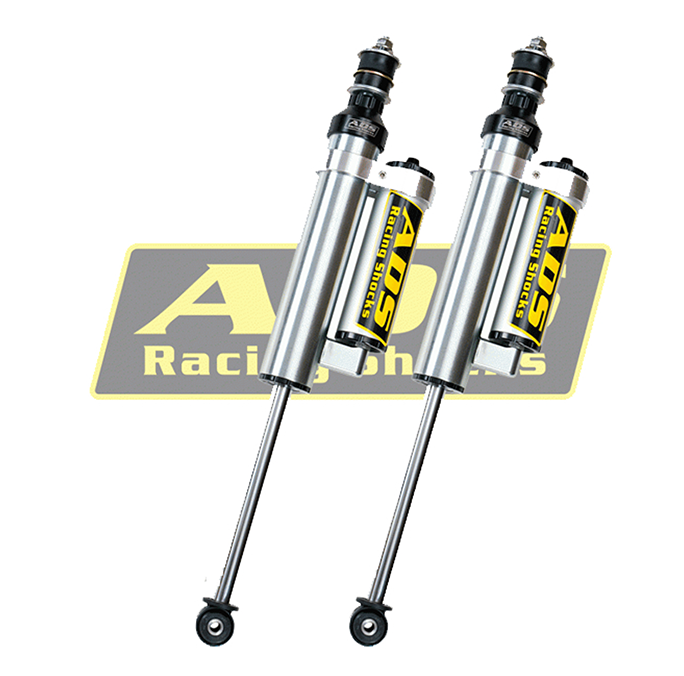 ADS Shocks are what we run exclusively on all of our company and personal vehicles, we’ve run these shocks through the most brutal terrain and races. If you want to feel like you’re driving a Trophy Truck, these are the shocks for you. Made in the USA by the most dedicated, passionate, hard-working company in the market. 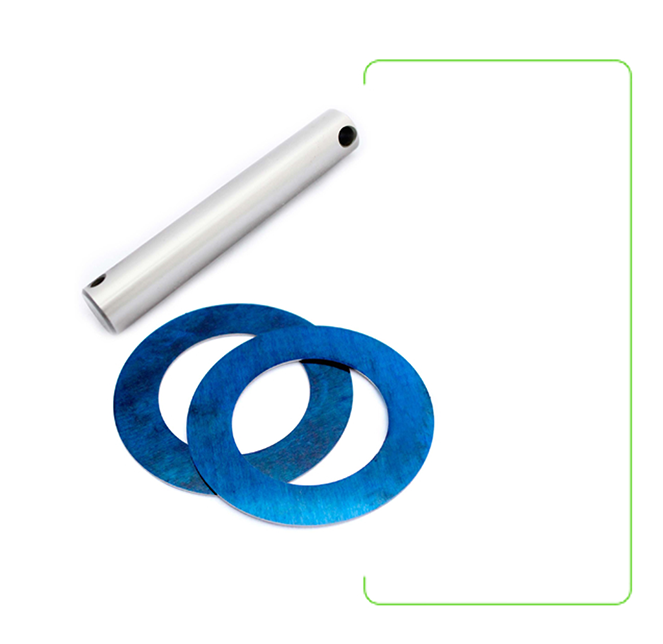 Torq-Masters Industries manufacturers high quality differential accessories such as Hardened Cross Pins and stock or custom thickness Thrust Washers. All 100% Made in the USA. 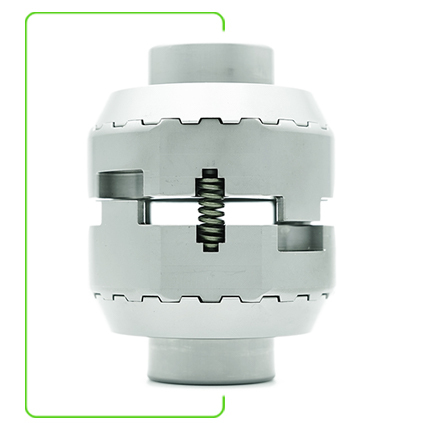 Over the years we found that differential cases are not all machined within tolerance. To combat this issue we developed a line of custom thickness thrust washers so you can dial in your Locker install.